The Angus breed originated in Northern Scotland in the counties of Aberdeen and Angus in the 18th century. They were brought to the United States in 1873 in Kansas where they were shown at a livestock expo. They were thought to be unusual because of their naturally poled (hornless) heads and solid black color. They became popular due to their heartiness and early maturity. All calves by purebred Angus bulls are all poled. 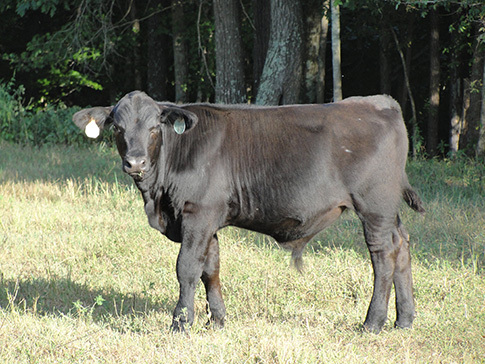 Angus cows tend to have exceptional maternal characteristics and require minimal care and have virtually no calving problems regardless of their expected progeny differences (EPDs – a highly accurate means of predicting how an animal’s offspring will perform, describing genetic differences between animals within a breed). The beef is well-marbled, fine textured, with minimal trim. 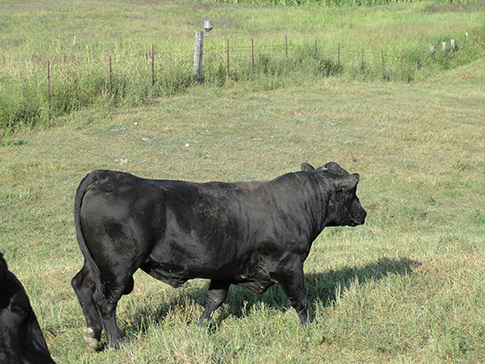 The average bull weight is 2,000 pounds. A cow’s average weight 1,150 pounds. A red Angus line also exits. 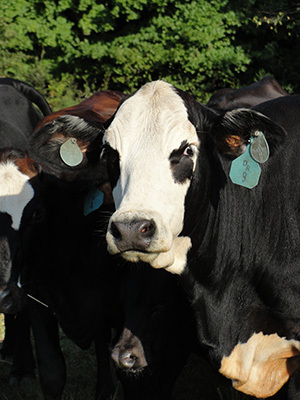 The cows have a barrel-like body, stocky legs, and smooth slick coat. They have a short face, small pole, and quick lively step. It also has a genetically recessive red color trait, which means that a red cow may occasionally appear amongst an all black herd. 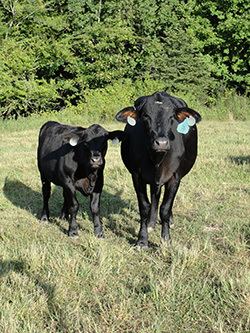 We expanded the cow-calf operation in 2013 with several bred heifers. 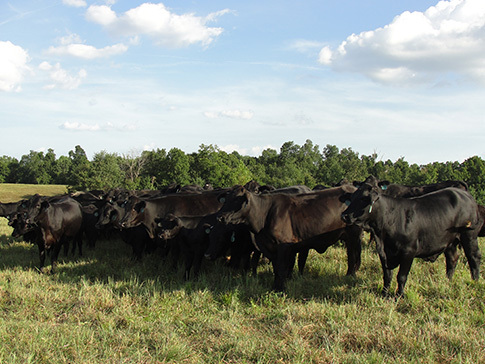 We also diversified beyond the purebred Angus bulls and began including both Lim-Flex and Sim- Angus bulls in our genetic disposition.